The key difference between the two GEO Radius Search subscription packages offered is the level of support provided. The GEO Radius Search 6 month subscription does not include any support with it. It does however offer 6 months of updates and bug fixes from the date of purchase. You can however submit tickets if you find a possible bug or code conflict we should be aware of. The GEO Radius Search 12 Month subscription includes a full 12 months of online and personal support as well as a years worth of updates and bug fixes. Both subscriptions come with a 30 day money back guarantee! If you need configuration support we also offer instalation and configuration support which will extend your regular subscription an additional 6 months and garuntee your success with GEO Radius Search. What payment methods are provided? When do I receive my invoice and user details? An email will be delivered to the address you provide as soon as your payment has been approved by Paypal, which is usually within minutes of the transaction. If for some reason you do not receive this email, please contact us via email and we will verify the payment status. Your invoice will be sent to the same email address. When do I get my download? Included in the email will be an approved link specifically for you and your chosen subscription plan allowing you to download the ZooRadius package. Once you are logged in you will find a new Download menu option where you can find the available extension and language files. If you encounter any difficulties obtaining this package please contact us. If you choose to cancel your subscription, you will no longer have access rights to the ZooRadius download area. If you wish to re-subscribe you can login to your subscription zone and reinstate your desired subscription. How do I get updates of GEO Radius Search? Updates will be published once available and will be available from your subscription manager and the downlaods are on the site. I don't have Zoo. Will GEO Radius Search work for me? NOPE. 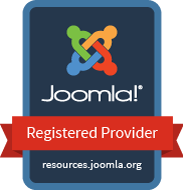 ZooRadius requires Joomla and Zoo in order to operate. Will GEO Radius Search work on Wordpress? NOPE. ZooRadius is a Joomla component for specifically designed to work with the ZOO cck and ZL (Zoolanders) framework. Where can I get Zoo? Zoo is available from yootheme.com. More information pertaining to Zoo, its features, documentation and more can be found at this site.